Our firewood processor waste is FREE to whomever can find a use for it! It might be quite bitty and irregularly sized, with leaves, twigs and bark, but it’s super-helpful in improving soil quality once it starts to break down! We like to minimize our waste as much as we can, so if you’re interested in taking some of these chippings of our hands and getting them into your garden, please get in touch. Delivery rates can be negotiated, dependent on where you’re located and how much you’re after. We hate creating waste, but sometimes it can’t be helped – especially when we process our firewood. In the cutting of our firewood down to size, we find ourselves left with chainsaw shavings, twigs, splinters, earthy bits and bark. We don’t like to see even these scraps go to waste, but there’s not much we can do with them at our Yard. So, we’re offering them to you – FOR FREE! 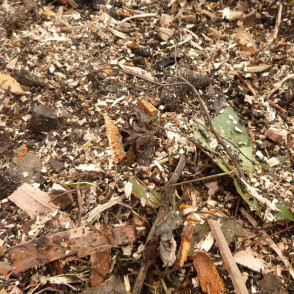 It can be added to your compost, and can help to improve soil fertility if your compost is too nitrogen rich because it contains a lot of “green” kitchen or garden waste and not enough “brown” matter. It can also be used for compost toilets. Because we’d like this stuff to find its way to a good home, delivery rates can be negotiated depending on how much you’d like and where you’re located. We often find ourselves with plenty of this, so please get in touch if you’re interested in taking some off our hands! If you live outside of the Greater Manchester area, this item is COLLECTION ONLY.